Tesla Says Powerwall 2’s Return Will Be 8-15%. Really? 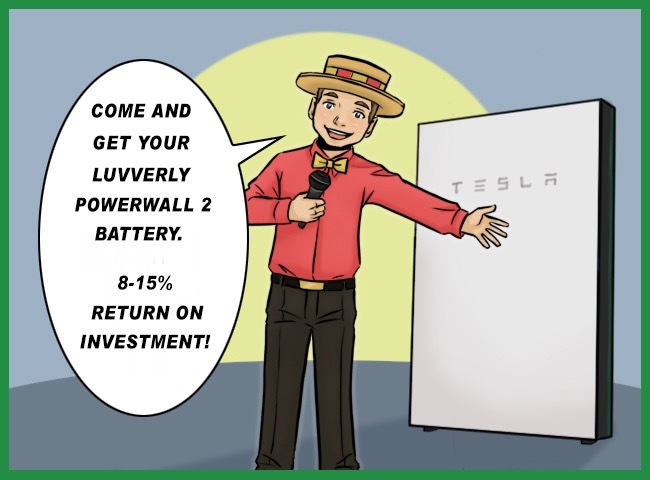 Is it reasonable to expect a “8-15% return on investment” on a Powerwall 2? 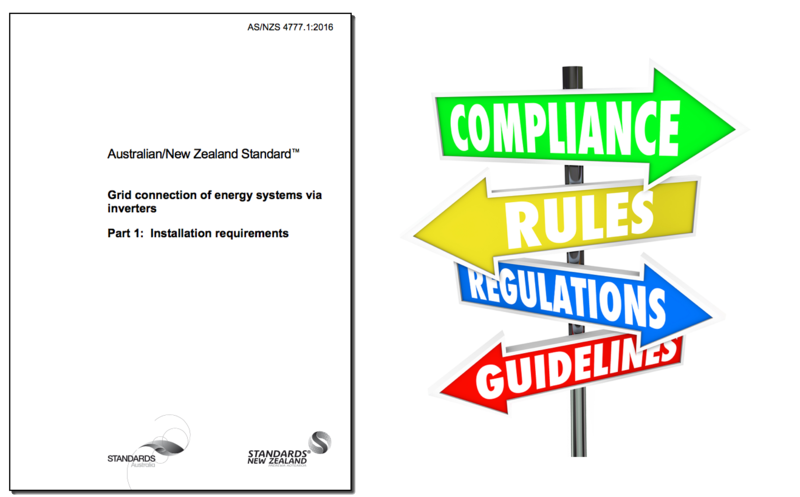 Will it be illegal to install a single phase Powerwall 2 from Thursday? 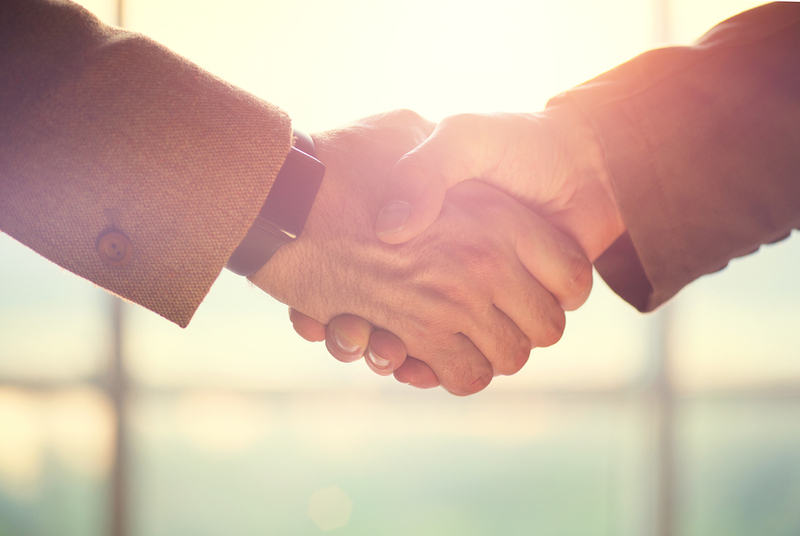 Billionaire’s Gambit – Why we should accept Musk’s offer. Last Thursday in a trendy re-purposed Substation near Melbourne, Elon Musk’s cousin Lyndon Rive claimed he could solve SA’s energy woes in 100 days. By installing 100-300MWh of batteries. Look what Santa got for Christmas. 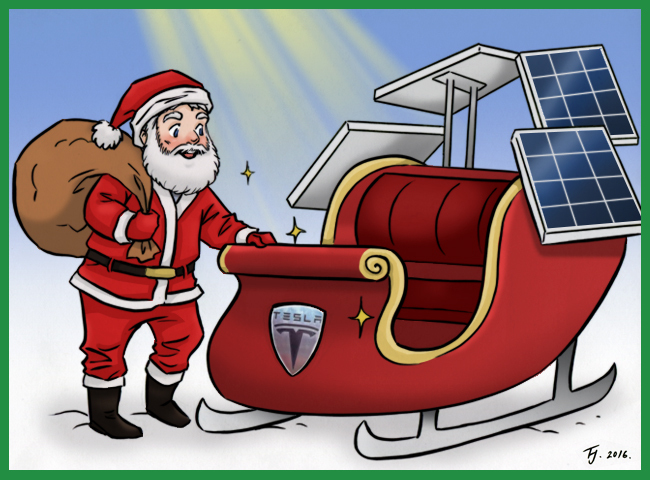 From all of us here at SolarQuotes® : John, Rob, Jono, Ronald, Claudio, Chantel, Margherita, Bec and Finn, have a great Christmas under your LED and solar powered Christmas lights. See you next week, with a turkey sandwich and a post rounding up what happened in Australian Solar Land during 2016. 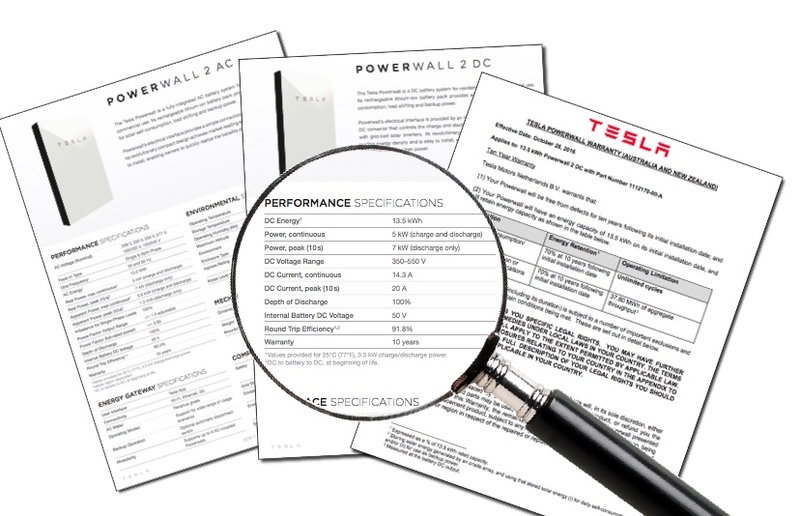 Powerwall 2 Full Spec Released: Low cost but ‘unlimited cycles’ warranty has limits. The full spec and warranty of the Powerwall 2 reveal a cost per warranted kWh almost half that of its nearest rival. But there were lots of questions over the exact configuration and warranty details that could make or break Tesla’s shiny new battery. Most of these questions have now been answered. 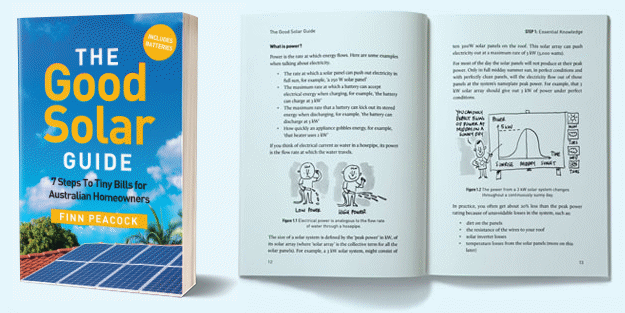 Why over hyping batteries hurts the solar industry. I feel so strongly about this that I though I’d shout at a video camera about it for 7 minutes. Hit me up in the comments if you think I’m being too harsh. Going off grid with Redflow’s ZCell? Here’s how to handle the ‘maintenance purge’. 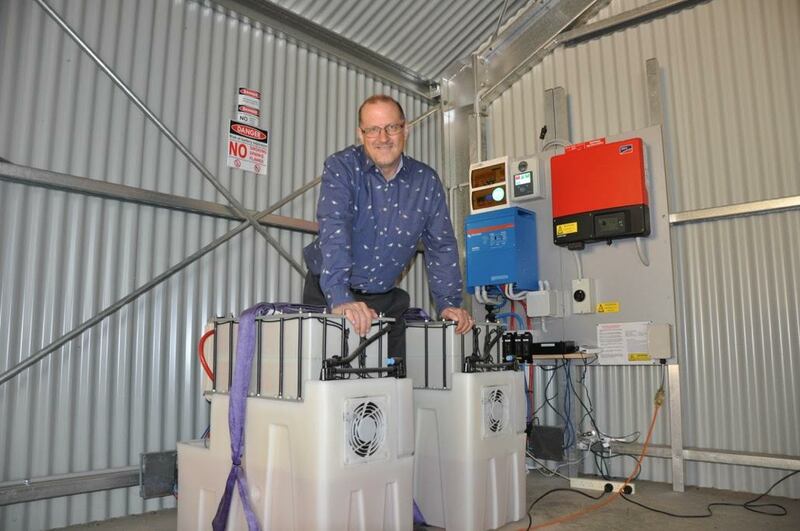 Simon Hackett with an early customer’s double Zcell off grid system. A response to Keith De Lacey’s article in the Australian last week. 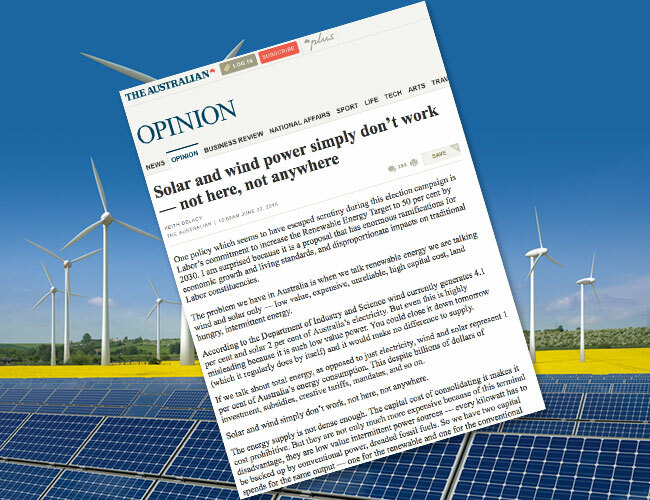 The Australian recently published an opinion piece by the Director of an oil shale company and former Chairman of Macarthur Coal, entitled, “Solar And Wind Power Simply Don’t Work – Not Here, Not Anywhere“. 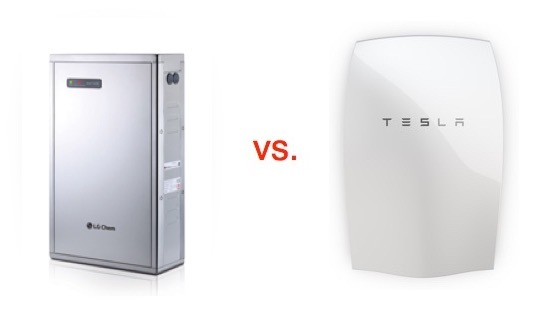 How does the LG Resu compare to the Tesla Powerwall? If you are looking at a 6.4kWh Lithium-Ion battery for use with your solar power system in Australia right now, you are probably tossing up between a LG Chem Resu 6.4Ex and the Tesla Powerwall. Duracell announce ‘Powerwall Killer’ home battery. 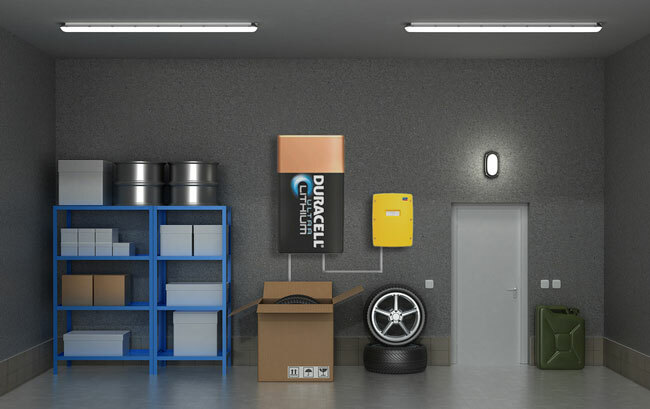 Duracell have just announced their first product in the home battery storage market – competing directly with Tesla. Well it finally happened. After sitting on the sidelines as the solar battery storage boom unfolded around it, the world’s biggest name in batteries has finally joined the party.